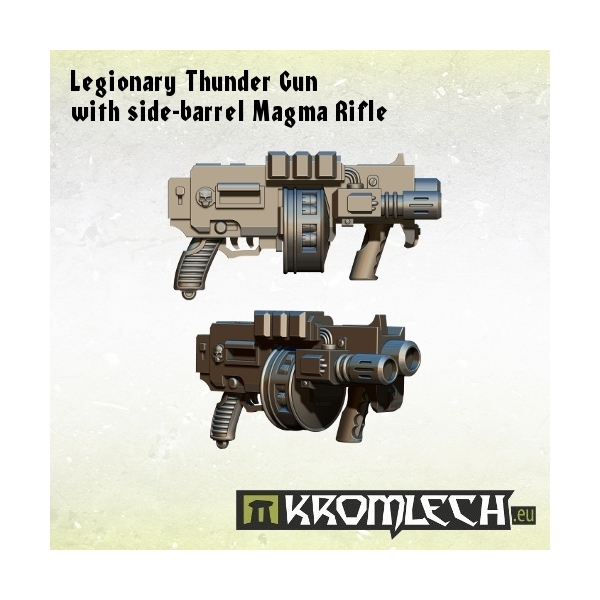 This set contains five Legionary Combi Weapons designed to fit futuristic heavy armoured troopers. 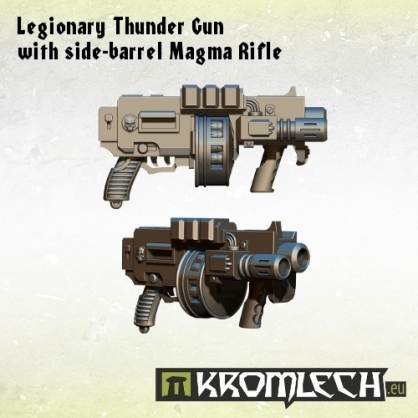 It combines ordinary Thunder Gun with side-barrel Magma Rifle. Master model (digital) Robert Kurek.